There’s a major difference between osteoarthritis and rheumatoid arthritis; not only in the cause, but in the symptoms as well. Osteoarthritis is caused by injury or wear and tear on your joints, whereas rheumatoid arthritis is an autoimmune disease. Essentially, rheumatoid arthritis causes your body’s immune system to fight against your joints. 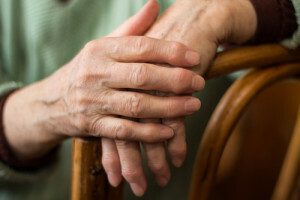 While these two forms of arthritis share similar symptoms of pain, swelling, stiffness and limited motion of affected joints, there are several that are unique to rheumatoid arthritis. Joints are warm to the touch and tender to the touch. General malaise, fatigue and sometimes fever. Whatever joints are affected on one side of the body are also affected on the other side. The disease can last for years and affect other organs in the body. Rheumatoid arthritis flare-ups and symptoms can vary greatly since the level of intensity the immune system uses to “attack” the affected joints can vary by season, general health, fatigue and more. In order to help relieve symptoms, including joint pain and serious damage to your articulate surface, you should see your chiropractor. There are several aspects of this disease a chiropractic care plan can help alleviate. Chiropractic adjustments can increase your range of motion, giving you greater flexibility and strength. With this improved ability to move, your chiropractor will likely assign targeted exercises designed to improve your muscle condition and build strength to take pressure off of affected joints. Finally, your doctor of chiropractic will likely also provide some nutritional counseling to advise dietary habits that can improve your symptoms and contribute greatly to your overall health. The bottom line in chiropractic care is this — a whole body, non-invasive approach to caring for your joints is better than living within the confines of your disease. Chiropractic Lifecare of America believes everyone should have affordable access to the host of benefits chiropractic care can provide. Call 800.775.7900, or contact us to learn how we can save you up to 50 percent on quality chiropractic care.